I’ve been training in some ultralight shoes lately. 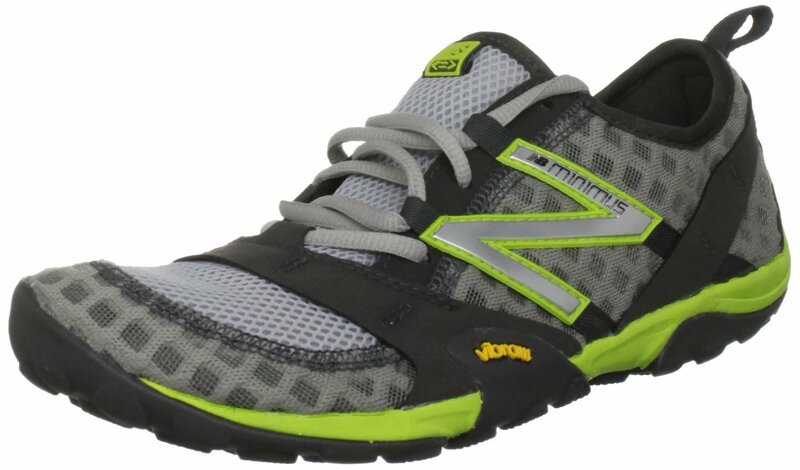 Similar to Mike’s “five fingers” I’ve been using New Balance Minimus T10. They weigh less than a notion and are completely flat. They basicaly convert the bottom of your foot from skin to vibram rubber. So far, I notice that they work the same parts that hurt after a big hill run which I’m taking as a good endorsement. For now I run just 10% of an average run in them or walk around in them while doing chores. 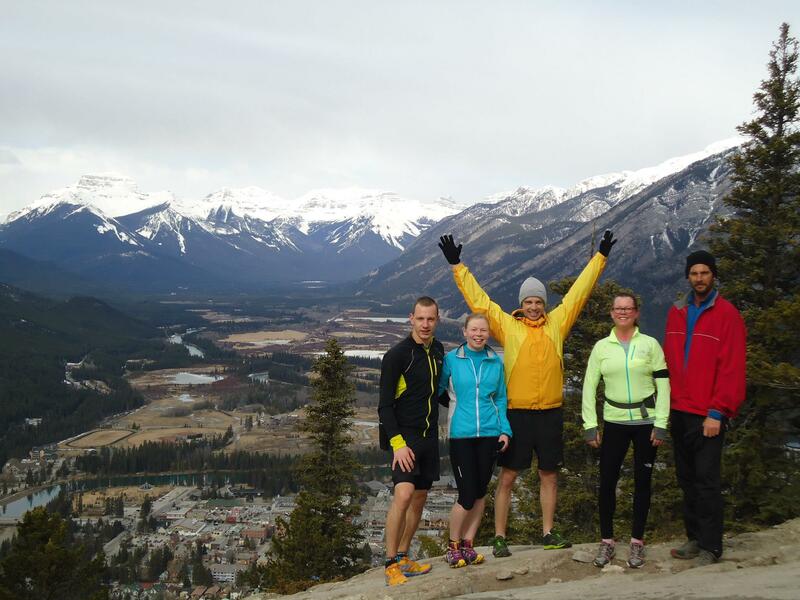 Went out with the North Face trailrunning group this week. 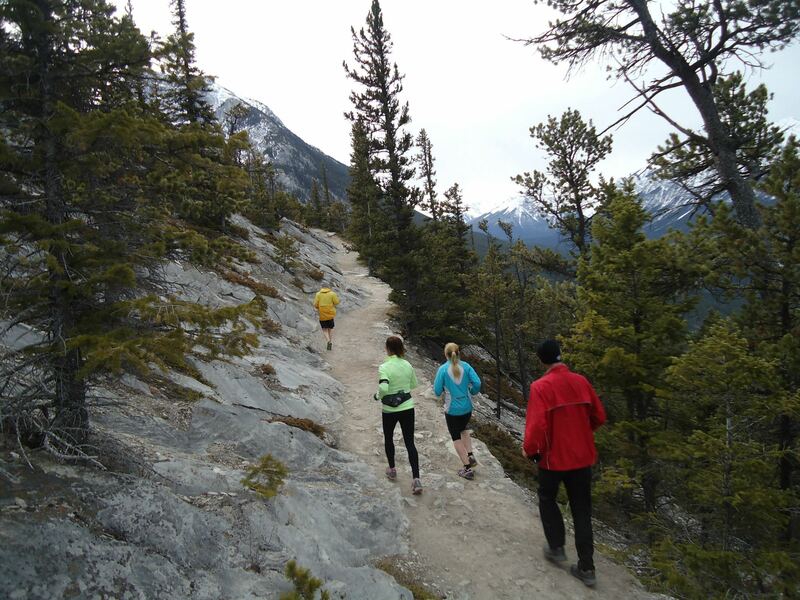 We ran from the North Face store in Banff up to the top of tunnel Mt in just under 40 minutes (and back down in another 15) Paul who organizes the group is an ultra marathoner as well as a certified coach so he had lots of great input and encouragement for all of us. I improved my breathing, gait and arm motions. Paul has done many marathons as well as the grueling Ring of Fire, a 210km race in Wales (where he’s from) Certainly there is lots of ambiguous stuff one can learn just watching. Above: Making our way up Tunnel Mt. and a group shot at the top looking down on our starting line. With the air temperature hovering around zero, it’s a great time for hard work. I bought some vibram 5 Fingers and immediately set consecutive personal bests in them and loved running in them last November. After 3 runs I strained my Achilles and was constrained to max 3km for a month after a 2 week rest. Then I had a follow on metatarsus injury which is common with a compromised Achilles. So yeah, don’t run with these footwear until you are properly conditioned. I knew this but still was stupid. Still doing exercises to mend the tendon but am back to 10km runs. Hoping I can get back to 20 and 30 km runs again.